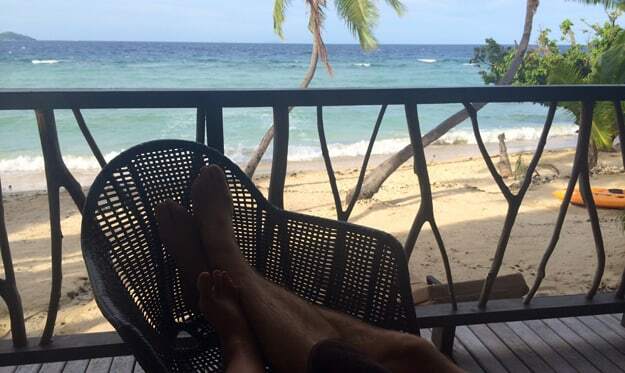 Travelling to the island paradise of Fiji and don’t know what to expect? The tiny island nation will win you over, from infectious local smiles to the pristine natural surroundings, this mere speck on the map packs a punch when it comes to things to do and see. It won’t take long to get accustomed to the local lingo. Swap your “hello” for “bula”, your “thank you” for “vinaka” and your already talking like a local. The Fijian way of life requires you to drop the pace back a few gears, but hey, you’re on holidays and that won’t be hard to achieve. Generally you will fly into the main airport of Nadi (pronounced Nandi), with the town a central hub for the main island of Viti Levu. From here your options are endless of how to discover Fiji and her islands. While there are many resorts on the main island, with the main concentration around the Coral Coast, we recommend that you spend at least some of your holiday getting off the mainland and venturing out to the islands. To do this, the boat transfers leave from Port Denarau, about 40 minutes’ drive from Nadi Airport. The first group of islands you will reach are the Manamuca Group. Heading north from here you come across the pristine white shored islands of the Yasawa Group. Wherever you choose to stay in Fiji, you will find an abundance of things to see and do and experiences to be had. Here are Kate’s top five recommendations for Fiji. 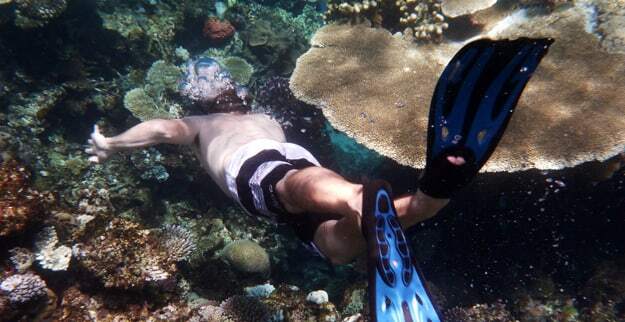 Get under the water in Fiji and you will discover a whole new world. Snorkelling and diving in Fiji is incredible, with warm clear water, great visibility and a myriad of colourful fish and coral. Many places you can snorkel straight from the beach, however if you want to venture deeper, there are many great diving opportunities and companies that can help you get there. You’re going to enjoy the local cuisine so why not learn to make it yourself and bring back a lasting souvenir. 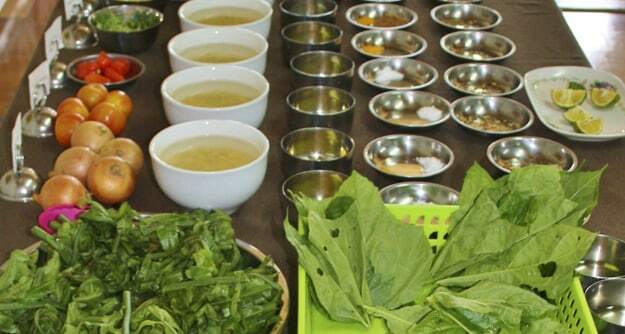 Based at Denarau, Flavours of Fiji Cooking School offers a half day class to learn just what goes into your Fijian meals, and the best part, you get to eat what you cook. It is a fantastic opportunity to really immerse yourself into the Fijian way of life. Kids are more than welcome to attend. 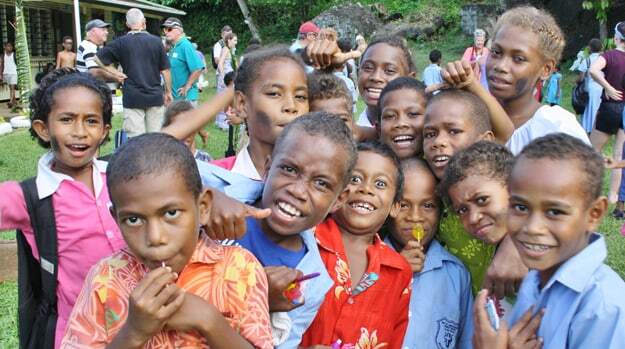 What a better way to experience the Fijian culture than to visit a local village and school. Here you have the opportunity to see the everyday life of the Fijians, and learn more about the culture and heritage. The children at the schools will be more than happy to show you around and find it just as entertaining to learn from you and your country. Try and take some small educational gifts to the children as mostly their supplies are limited. There is so much history packed into this tiny Pacific nation. Make your way across to Ovalau Island to the town of Levuka. This was formerly the Capital of Fiji and holds so much old world charm. Here you will find the oldest hotel in Fiji and possibly the Pacific, the Royal Hotel. Spend the time wandering the street along the foreshore and soak up the atmosphere of a Fiji that is captured in time. Why do anything at all when you can just lay out your towel, kick back and soak up the sunshine to the sound of blue waters lapping and pristine white sand beaches. After all, it is Fiji and well known for its “Fiji Time”. So take your watch off, switch off the mobile phone and kick off your shoes. Enjoy the ultimate in relaxation with nothing but time to chill out, breathe the fresh air and feel the sand between your toes.